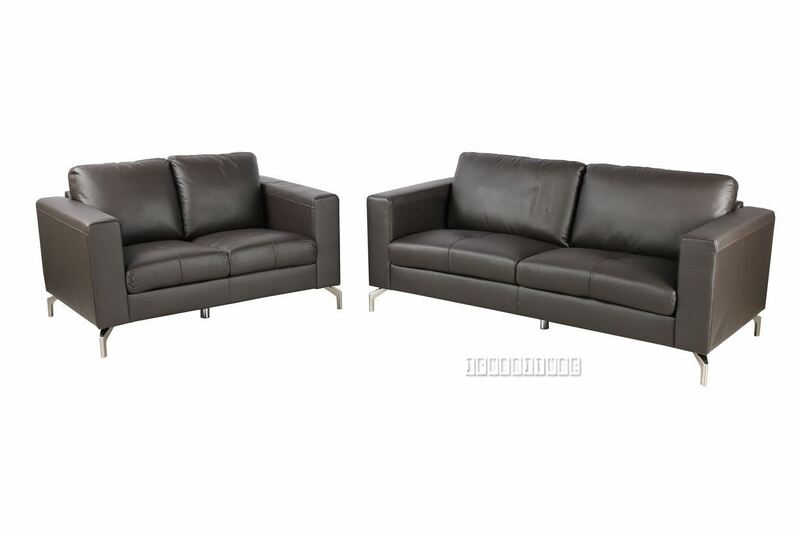 The range comprises: 2 + 3 seat couches, and an L shape sofa -2 seat with chaise- (comes with left/right facing chaise). Seating is comfy and supportive and being leather has a durability that other coverings cannot match. The style is sleek and fresh and readily matches other items you have. The feet of all items are shiny, polished metal - adding a very smart touch. Why leather where it counts?